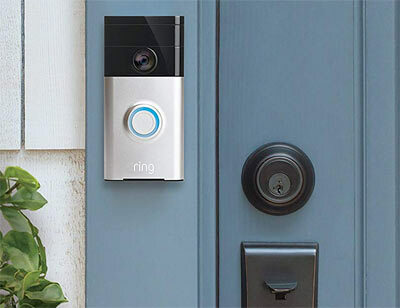 Concerned about home security while someone is knocking at your door? 5. “I see there have been no tire or foot tracks in the snow of your driveway. You must be away..” If it snows while you’re out of town, get a neighbor to create car and foot tracks into the house. Virgin drifts in the driveway are a dead giveaway. 6. “I can see your alarm control through the glass of your door, and I notice that it’s not armed.” If decorative glass is part of your front entrance, don’t let your alarm company install the control pad where I can see if it’s set. That makes it too easy. 7. “I’ll bet there are no window alarms on the 2nd floor.” A good security company alarms the window over the sink. And the windows on the second floor, which often access the master bedroom – and your jewelry. It’s not a bad idea to put motion detectors up there too. 13. “I hear the TV. 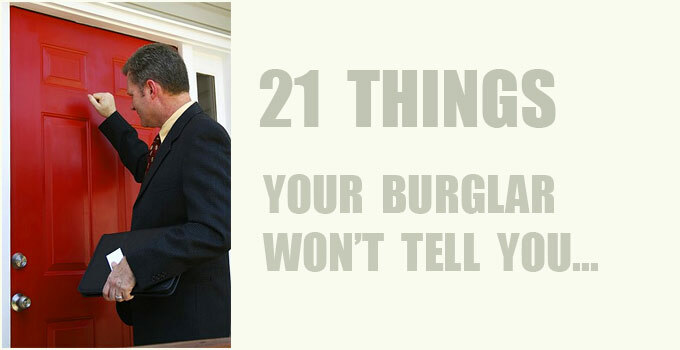 You must be home.” A loud TV or radio can be a better deterrent than the best alarm system. If you’re reluctant to leave your TV on while you’re out of town, you can buy a $35 device that works on a timer and simulates the flickering glow of a real television. 19. “I saw on Facebook that you’re on vacation. Perfect!” Avoid announcing your vacation on your Facebook page. It’s easier than you think to look up your address. Keep your electronic car key fob beside your bed at night. If you hear a noise outside your home or someone trying to get in your house, just press the panic button (on your key) and the car alarm will sound! Next time you start to put your keys away, think of this: Your car alarm is a security alarm system. 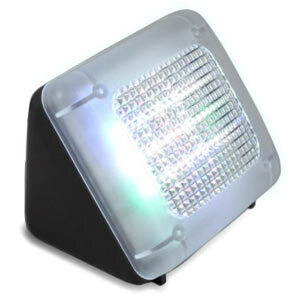 It will go off from most everywhere inside your house by pressing the key-fob panic button. Test it. It should work if you park in your driveway or garage. If your car alarm goes off when someone is trying to break into your house, odds are the burglar won’t stick around. After a few seconds all the neighbors will be looking out their windows to see who is out there and what’s going on. And remember to carry your keys while walking to your car in a parking lot. 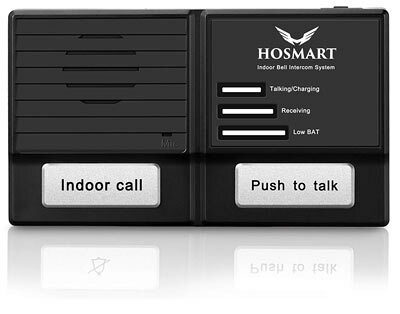 The car alarm will work the same way there – just press the panic button. This is a simple thing that should really be shared with everyone. You know we are loosing our country when you can not display anything patriotic on your property or vehicle. I signals more than just the possibility of weapons, but may signal you are a reasonable law abiding citizen – a definite target for more than just robbery. The refrigerator delivery one happened to us, except for the break-in, nothing worth taking in sight. In our case it was a stove, 4 guys, the lead guy just walked by me through the house. They had other characteristics that added to the suspicion. I had a break in 2 days after I had a gun safe delivered. I had not had time to put anything in the safe because I was going to bolt it down first. They pulled the safe out of the closet where I had planned to install it, but it wasn’t locked so they left it in the middle of the room. My guns & valuables were not in my home at that time. It wasn’t until much later that I believed that the two were probably related. Although it was delivered by UPS. I just had a juvenile burglary case. It all started with the kid using the bathroom. Lots of families leave their doors unlocked in this part of the Country. It is a different kind of place…usually. So this kid went inside a house, door unlocked and without permission, to use the bathroom for an emergency. On their way out the kid stole the owner’s key to his shop. The kid stolen some money and did some light vandalism in the shop (Playing Around). Biggest vulnerability is having someone in your house talking about what you’ve got. If you’re kid is in school, be very, very careful. We know. I have no respect for thiefs. Age, intent. No one enters my home.without permission. I’d just assume be judge, jury, and executioner. Parents house was robbed when it was a kid. Even then I knew it was a violation of privacy. They stole all of mom and dad’s processed beef and twelve bucks in my.upstairs bedroom. When I was married, Our house trailer door was jimmied. We were a half mile away for.an hour. Punk azz kids. Didn’t take but a cassette.tape. Easy take. Deputy called wasn’t worth a hoot…. even though he knew me. Turned over to the State and they nabbed the.three punks. Everything.was locked or hidden, except.for my deputy.uniform. Now reinforced doors, three dogs in the house that bark and claw at the door that would.make.u wish you had worn Depends. Security cams with a sign, “Warning. This house and property videoed 24/7” And ya never know when I may return home on what day or time. Always a short boom stick within reach. Reminds me one time. Wife and I returned home after a short trip to town. Son and his cousin home alone. Mid summer. Dry enough to leave tire tracks. Neither one driving age. Pulled into the driveway. Told wife the kids had taken your Jeep for a little cruise. I can see tracks and they cross over ours from leaving. Hey boy. Where’d ya take ma’s Jeep? Don’t lie. Where did you go? Be aware of everything in your life. Even the tiniest detail tells a story. One winter I noticed different tire tracks in the driveway. And two different boot tracks leading up to the entry door. You have to sign on in the library to use the internet. I’ve been using proton mail for a couple months now I guess and have gradually made it the primary account. One thing is that Windows doesn’t recognize it as far as setting it up as an alternative. A person needs to log in or open proton mail and then cut/paste any url’s that you might want to send. Other than that it’s just fine to use. aka/Just Sayin’- thanks for the Swiss proton mail tip. All this talk about gaming systems, TV’s, and other large electronic devices is sort of irrelevant. 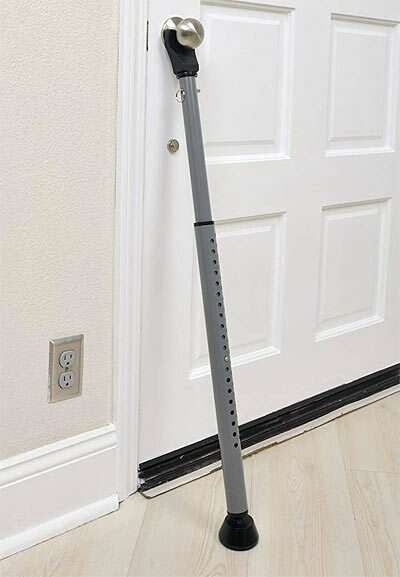 Intruders rarely take these things because they are way too bulky to make a quick escape with. Also would look awful suspicious to see someone carrying a huge flat screen TV down the street. Instead, they are mainly looking for jewelry and other small valuables they can easily stash in their pockets or fanny pack. They will also get more money for the jewelry at a pawn shop than a used TV set would bring. Do not set boxes on the curb for pickup. Anyone can see what you just bought–, big screen, new computer game, etc. Take the boxes to a dumpster somewhere, or cut them up to fit in a trash/recycle can. Also do not brag in public about your new stuff! It might also inform you that I am well trained with my firearms and will not hesitate to kill you should you unwisely decide to enter my castle. . I normally leave mail in my mail box. To all of a sudden see mail in your box for days while you’re away sends a message. Outlook doesn’t require a phone number to sign up, but if you ever need to verify the account a phone number is required. Circumstances under which you might need to verify the account include suspension due to suspicious activity. This can happen if your account is ever hacked. If your account is suspended you won’t be able to login until you verify it by SMS. It’s sad to see so many providers requiring SMS verification these days, but I totally understand why they do it. They have to deal with so much abuse. I see all the violent, repulsive hillbillies are out in force. Keep listening to those Russians. They know what’s best for this country, and the biggest danger to it is you. What you have described between Mexico and Canada, is the same push democrats are striving for in this once great nation. Have a little talk with Hilery or Bernie and now AOC and determine if their thoughts/ideas coincide with what you describe is now happening here. Do a sample run for me…. See which will get your a$$ kicked first. My (our) legacy will be that of standing for the principles of what this Country was founded on. Keep your head buried, because from what I see, you will be on the receiving end. Good response……….well, except for horses not having feathers. It’s well known in liberal/socialist/democrat lore that flying horses and unicorns flourished up until the evil European white male evolved and began the slaughter of everything that was good and perfect. We must man-up (sorry for the bigoted terminology and take our punishment…………or something. Joe: One post – The whole “Make America Great Again” takes our country backwards to when it wasn’t so great for a lot of people. MAGA is only good for white conservative males. About 30% of our country supports that style of repression and the rest are getting sick of it. The founding principles of our country don’t come anywhere close to what MAGA hat wearing people believe. For the record, I don’t like Hillary or Bernie either, but this nitwit and his buddies have willfully destroyed our alliances, strengthened our enemies, engaged in rampant self-dealing to ransack the economy, made America the laughingstock of the world, increased our debt, made us less safe from attack, wrecked our environment and divided ordinarily good people on false pretense. That kind of Great America? Russia and China are just waiting for the final collapse, so keep up the good work. Honestly, I don’t really know what you’re worried about because what’s going on now isn’t working out. Eight of the last nine recessions have been under Republican presidents. The poor economic policies going on now are waiting to blow up in our faces. We’ve tried the MAGA way and one term is about all we can stand, if that. You cannot even identify with yourself. Seems as what you have typed, describes your past, favorable pres. This current unbought and paid for prez can’t do a damn thing, because of the long ago set up corroupted system. Ask Hiltlery, at your meeting, of her past /current corruption. White conservative males….isn’t that what your side wants to destroy? And let’s not leave out the middle class. But then again you are an independent…..
Not knowing how to classify yourself, as long as it benefits you. Why is there such a minority spike in the support of Trump? Hell even LEGAL immigrants want a wall. Why does Trump have a support rating that exceeds the big O in his eight years. He had himself and both houses of Congress for two years and he still couldn’t get anything done. The Clintons had their little side gigs going, but they’re amateurs compared to what’s happening right now to our faces. This man is a full-on crime boss. And you support this? If Obama had done 5% of what this guy has done, you would have been rioting in the streets and he’d have been impeached 10 times over. But you shrug your shoulders. Do you care about lying? Coverups? Corruption? Or do you only care about them when Hillary does it? Either you care about these things or not. If you don’t care, then you don’t get to say “yeah, but Hillary…” because it means you have no defense. If you do care about those things and they anger you, then apply it to this president. He deserves lots of scrutiny. Get your Republican party back on track. If you embrace these traits, you’ve stopped being an American. That’s not what America is no matter how you spin it. Well, maybe it is now, but it’s not good. This is a bull in a china shop. I see where all of you are coming from. You had 1,000 times better chances than anyone else, and now you only have 950 times better chances and you get called out for suppressing people or harassing or threatening them any way you like, and it feels like oppression. Being a white male (who went to an all black school for a grade), I can say your fears are very real if you keep behaving this way. Nobody is out to get you, but you’re bringing it on yourselves if you keep up the taunting threats. Maybe you shouldn’t represent your side of the argument. Find someone with perspective. I have no idea who to address. These members of Congress have no idea how to flow. All they know is…. They don’t wanna get thrown under the bus for their corruption, that I believe Trump wants to expose. And all are scared as poo. And yes there was corruption under Obama ,yet we let it slide because we don’t operate under your leftists stance/ideals with no burning of cities, no violence of opposition. MAGA hat wearers now being ruff- housed. I saw no greater divide in this nation as I do now. But O was the big implanted seed, now wasn’t he? Rile up and divide a nation. Then walk away, thinking Hillary would take the reins. Get this party rollin’. The voice of America took hold in 2016 and the Dems could not believe it. Yep I should let someone else argue of my history, because they are more knowledgeable than I. Thanks for not walking away in your arguments. Joe C; good talk you. There’s some lefty chatter up there about comparing corruption, lying politicians and so on. For lefties Trump is guilty because they accept an accusation as evidence. For the lefties an accusation = evidence = guilt. So Trump is therefore according to their ‘justice’ guilty because they have accused him of crimes that are crimes that they have invented; such as: “Trump was thinking about Russia”. We would forgive Obama for having given billions of dollars to terrorist causes in Iran had it been for our benefit, but no it was to our detriment. “Fast & Furious” gun running was for the purpose of destroying a bill of rights amendment. So there is a clear different between Trump’s locker room rhetoric and the left’s schemes to overthrow our constitutional form of government. Hi JoeC: If you recall, Republicans were not sitting on their hands during Obama’s turn in office. They did more to drag us backwards as a sworn obstructionist power than any other time except now. They investigated Hillary 7 times for what happened in Benghazi and they didn’t back off until they discovered the Republicans had cut funding for embassy security the year before. Yup, all the congressmen at the DC airports were complaining about how long the TSA lines were, and they caused it! Five years later, a trial showed cleared Hillary of any wrongdoing. Accept it. It was a fair trial. Oh, and emails! Also cleared of any wrongdoing. Stupid, yes, but not illegal. Where was the outrage over Colin Powell’s or Condoliza Rice’s email servers? Crickets. Now, we have a president happy to shut 800,000 people out of a job so he can make a point to waste $5.7 Billion on a wall that won’t work. Do you think for one moment he cares about you? I expect more from Congress and the President. Government is running in spite of them, not because of them. I hate it and you should too. Where’s the fabulous health care law? Where’s the infrastructure rebuild? Where’s the $1.5 trillion given to corporate shareholders? This is why we can’t have nice things. This same president tells his rowdy town hall attendees to beat up anyone amongst them who doesn’t agree with his agenda, and they do. Or, the “Lock Her Up” thing where extrajudicial incarceration seems right at home there and in any other dictatorship. Were you expecting a better reaction for someone wearing a MAGA hat? What, the KKK hood is in the laundry? Yes, the MAGA hat is the new KKK hood outside of the bunkers. There no room for any of this behavior. I expect more from Americans and certainly from a President, but the expectaions are low. The right wing spun the $400 million paid to Iran as a ransom. It wasn’t a ransom. Iran bought a bunch of our military gear in 1979 and we never delivered it. After decades of negotiations at The Hague where Iran wanted $10 billion, it went to arbitration and we were ordered to repay it along with $1.5 billion in interest. The 9 Judges at The Hague were about to award $4 billion to Iran but we took it out of there and dramatically reduced the payment. You’re welcome. At the same time, Iran suddenly decided to release some American hostiges, correctly calculating that enemies of America would see it as a ransom. Brilliant. It’s not a ransom or sleazy dealings as many choose to believe. Just look as cheerful as possible and move on. As for corruption, oh please. The Trump organization has been dripping with corruption for decades. The problem is he brought it to the White House where there are only a hundred laws against his business as usual. I really want Trump to succeed as a president. I really do. He has to. But he makes it really hard at every turn, flaunting every law and daring someone to stop him. The Mueller report will tell everyone what needs to be told and I pass no judgement until it happens. Meanwhile, someone said “For the lefties, accusation = evidence = guilt”. Uh huh. That’s the Fox News way. Republicans (and Fox) have waged endless, evidence free campaigns against everybody they hate, so the right wingers are very familiar with that dynamic. Why do people choose to believe the absolute worst of everything when facts say otherwise? Facts are not an opinion. The difference with the investigations going on now is all the evidence is being corroborated. If someone is telling the truth, they know. If someone is lying, they know. So far, the “Witch Hunt” has indicted or jailed something like 35 “Witches” for tax fraud, money laundering, lying about everything, and it’s not even done. Yes, they have been checking it all out because everyone leaves a trail like a slug on the Internet. Justice cuts both ways. Doesn’t mean you have to be happy about it, but ultimately the facts kept Hillary out of jail and facts are descending upon Trump world in a big way. Due process as written into the Constitution. Here’s the bight side: right after Nixon left office, I went to Korea for a year, Korea being a de facto dictatorship at the time. I was somewhat ashamed about the behavior and outcome of Nixon’s presidency. The Koreans, however, told me what a wonderful country we have. One told me “Your people got rid of the most powerful man in the world, and we can’t do anything about this two-bit dictator”. Yup, we have a wonderful democracy based on law. This travesty will end too. How is unknown, but we should celebrate our system. BTW, I’m not a lefty. I’m a right of center independent who doesn’t believe anything I hear and only half of what I see. Wait for the facts. Later. I have a plane to fly. I’ll be back as a Left Coaster. These comments are way off topic. Your discussion needs to go over to the Weekly open forum post. Thanks. Dude. You know this is modern survival blog, right? Certifiable kooks living in buried shipping containers. Forget it. I have the same talks with my inlaws and they just quack back whatever Fox and loudmouth radio tells them to. Just follow the money. The Clintons said they were broken when they left the White House, it is reported that they now have over 200 million – from where and is it honest money? It was also reported that the Clinton foundation only gave 10% of the donations to charities – hmmm who got rich? Not the Haitians that slick willy was supposed to help. Say all you want about Trump, but corruption in office is not one of his faults. Find me one good business man that does not hire accounts to wade through the idiotic tax code to get their clients the best tax breaks – only an idiot does not recognize good business acumen and thinks as a globalist socialist – hate the successful is now common place for the supposed entitled lazy. This conversation is off topic for this article. Please move it over to the weekly open forum.